Novara CP-1008-US ControlPads feature an 8-button layout and fit standard single-gang US back box sizes. Novara 1000 Series ControlPads offer simplified device control with just the right mix of ease of use, programming simplicity and cost effectiveness. 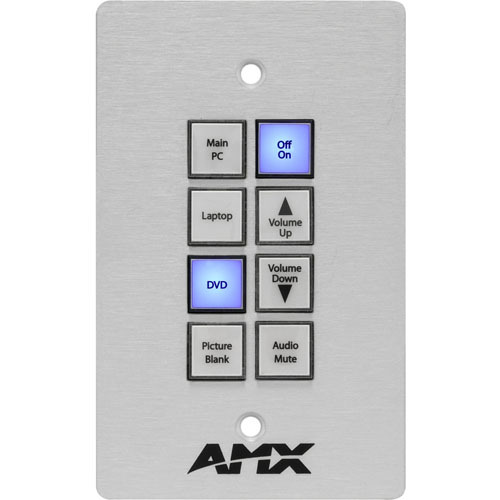 Novara ControlPads combine a user interface with device control in one, simple-to-install flush-mount keypad. The CP-1008-US is available in White, Black and Brushed Aluminum.